How Can a Phone with Mobile Spy Help in Case of Car Theft? You never know what might happen around the corner, this evening, tomorrow or in a year from now. We live in the society where bunch of immoral acts take place almost everywhere. It’s rather easy to get your personal belongings stolen: purse, bags, cell phones … or even cars! In this article we will discuss how to protect your car from being stolen or get it back with the cell phone spy on your cell phone. 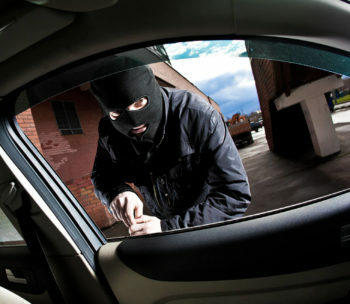 How to Protect yourself from car theft? Brace yourselves… winter is coming. With chilly temperatures it’s a common thing for drivers to put themselves and their cars at risk. For many people, it’s tempting to warm up the car before getting in during winter times, but it is a common mistake to leave a car “puffing” or completely unattended – increases your chances of getting of putting yourself at risk. Puffing basically means the term when someone starts their vehicle’s engine and leaves the car without any supervision. “It makes you a very easy target for car thieves. They have everything they need, right there, to steal your car,” stated Kate Porras of The Western Colorado Auto Theft Task Force. Besides “getting lucky” of losing your vehicle – you are imposed to loosing all of you personal information that can be found in your vehicle this includes documents, cell phones, different gadgets, house/garage keys and even more…. kids. This might sound funny, but truth can be bitter and it is real. “That just adds another layer to it because then your kids are in your car, you’re not there and then your whole world is gone,” said Porras. Put a blanket or paper towel over the windshield if snow storm is coming. 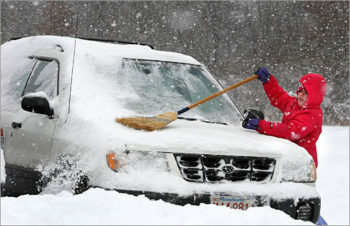 It will be a shield between Snow and your windshield, which will eliminate the necessity of puffing. Do you keep most of your personal belongings in your car? This trick will be very useful for you! A lot of people keep a spare cell phone in the car, just in case. Consider getting the cell phone spy on the phone you have! Location tracker. In case your car, or your device gets stolen from your vehicle – track it easily from any internet supported device. Cell phone spy will keep tracking the whereabouts of a thief 24/7! If you forgot your phone in car but need to check if anyone tried to contact you/ or you need some media files like photos/videos from that device and do not have time to get to your car and grab it – cell phone spy comes handy! keep all of your cell phone activities online on the secure and encrypted account. View all texts, calls, photos/videos – your personal online data storage. Quite handy! Finally, there is no a universal solution that will protect you from a car theft or something like that, but consider any possible way to be mindful, do not forget to not leaving your car unattended and many other tiny things!